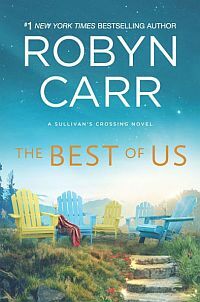 #1 New York Times bestselling author Robyn Carr won fans’ hearts with her popular Virgin River series. 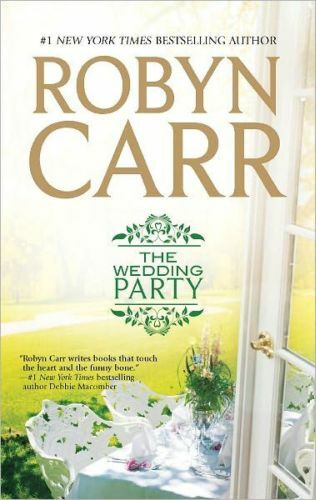 Now she invites readers to Sacramento for the wedding of the year…if the bride and groom ever make it to the altar! Almost immediately, Charlene’s seemingly perfect life begins unraveling at the seams. Daughter Stephanie’s own relationship is about to disintegrate, and she might be just a teensy-weensy bit jealous of her mom. And Charlene seems to be spending more time with her ex-husband than with her fiancé, Dennis. What’s more confusing is that Dennis doesn’t seem to mind too much. In fact, he sees the wedding consultant more often than Charlene does. The wedding party is now officially out of control. They’re calling for rain and the bride has cold feet. This isn’t exactly what Charlene had in mind. But maybe it’s not too late to finally decide on who and what she really wants.